The ABC development department is working on a variety of initiatives to address the many needs: weirs and wells, food security, school fees and uniforms, microcredit, farming, shelter, legal support, psychosocial support, healthcare (including transportation to hospitals), ARVs, help for orphans and vulnerable children and so on. 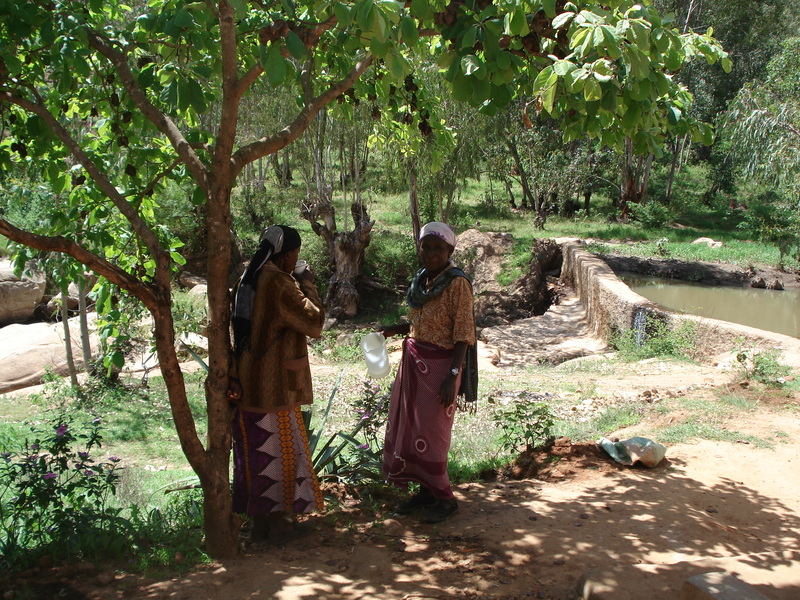 But every village group we talked to told us that their one most basic need was for water. Sufficient water means greater crop yields which means fewer “hungry times”, better nutrition and a surplus to sell to raise money for school fees. Clean water means less illness, and this more children able to go to school more regularly and more farmers able to work their fields. 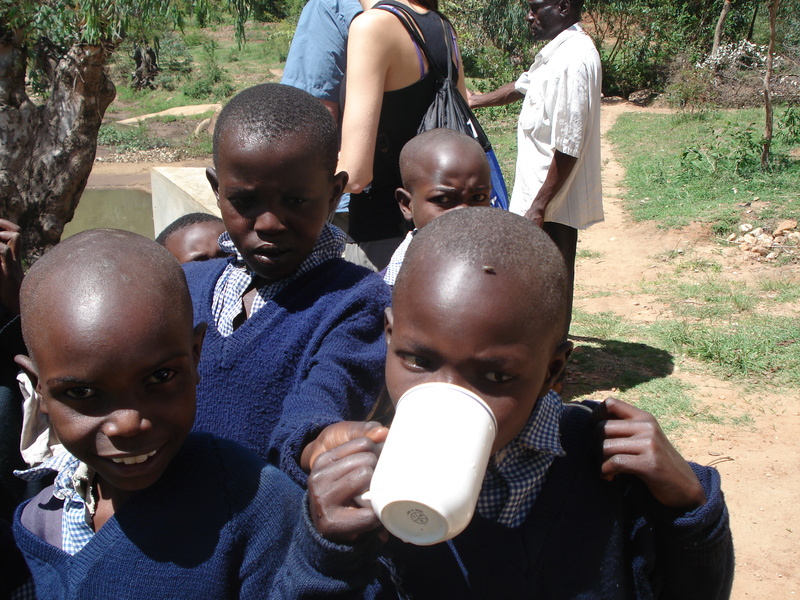 Greater yields means the community has a surplus to share with the widows and orphans. At 40-50 cm a year, Kenya’s rainfall actually surpasses that of parts of the Canadian prairies. As one official here told us, Kenya’s problem isn’t water, but water management. In the entire time we’ve been here, we only once saw children drinking water, and that was in the village of Kyangundi, which had both a weir and a roof capture system whereby the rain travels through gutters along the church’s tin roof and into a large pvc holding tank. The cost to a village for a guttering and tank solution to capture the torrential seasonal rainfall would be around $3000 to $4000, and that would allow them to meet so many of their own needs themselves. A PVC tank is a great solution, but it could be better to find a way for the local people to create a viable reservoir with materials they have at hand, or with easy to transport materials such as soils stabilizing products.